It was fantastic! The performers are great to work with. Everything went very, very smoothly and we all had a great time! Many, many compliments! Fun Pianos by 176 Keys helped make our yearly fundraiser a huge success! We ended up having a sold out event and raised a lot of money for our school! They made my job of organizing their part of the fundraiser, so easy! The players were amazing! They interacted with the crowd, were so funny, appropriate and professional. Thank you so much for helping make our fundraiser awesome! The show was great! We’re so glad we went with you guys. We had a lot of great feedback from attendees, and had a successful event! I’m sorry for the delayed response! We had a GREAT time at our event and the performers were incredible!!!! We had several people request that we get those two back again next year. They were awesome!! Hi! A good time was had by all! And we made some money for the rec center too, so overall a win-win! AWESOMELY WONDERFUL!!! There has been a lot of chatter from coworkers on how they enjoyed the show. Please let the performers know they did a great job and we appreciate them entertaining us. Thank you!! Our party was amazing! We had a blast! Employee interaction was at an all time high. Employees were talking about the party several days later. THANK YOU!!!!! THANK YOU!!!!! THANK YOU!!!!! IT WAS A FANTASTIC SHOW! I’ve had lots of compliments on it from people who had never seen a dueling piano show and that they had a great time! Thank you again for all the hard work, effort and endless patience with me on the getting this show together for us! We will definitely keep you in mind for future events! They did a fantastic job and it was a great night!!!!!! Thanks again for helping us make it a great evening for our foundation. The shows went very well! We have been extremely happy with Fun Pianos! It went great! The performers were awesome!!! They were both so nice, professional and hilarious! Everyone had a great time. Thanks! Thank you everything was AWESOME! Great times with the Shenandoah Medical Center on Friday Feburary 16, 2018 at the Elks Lodge in Shenandoah IA for their Winter 2018 Fundraiser! We raised over $2400 in the tip jars for the foundation, and the people in Shenandoah were great and fun hosts! It was great! I have heard nothing but positive comments. I appreciate working with you guys, you made the process so easy and seamless. Take care! The Clayton Co Farm Bureau brings the Fun Pianos dueling pianos show back to Elkader IA at Johnson’s Reception Hall on Saturday February 10, 2018! I could not be happier with our Dueling Piano show! We worked with Fun Pianos to host a new fundraiser in Burlington Iowa to raise support for local Scouting and Career Explorers. Fun Pianos was great to work with in the planning process. Their online program planning system, tips and tricks sheet, and office staff (Amy) were all great resources to help put this event together. Katy and Tommy were the two performers who came out. They arrived early, kept the crowd entertained with a wide variety of classic rock to new pop songs, and engaged the crowd with dancing and some games too! 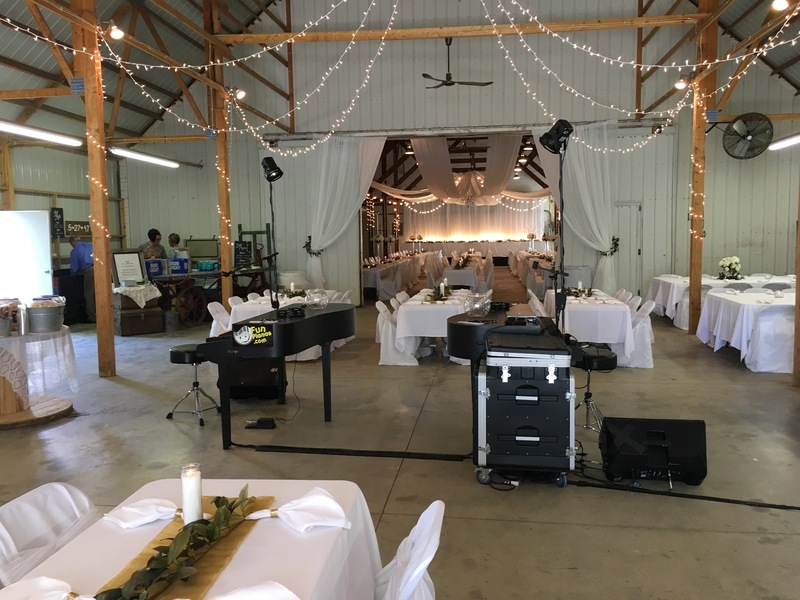 TYCOGA Winery is hosting the Fun Pianos dueling pianos show in DeWitt Iowa! Great people are doing great things in Sergeant Bluffs IA! What a terrific fun night of fundraising for the Sergeant Bluffs-Luton school district. Thank you for having us! Our show for the 1967 class reunion of Fort Dodge, Iowa was a huge success and applauded by all 110 attended. We appreciated them greatly. many people came to me and said the entertainment was amazing, wonderful, where did I hear of them and said it was the best class reunion ever and what a way to go out on our 50th reunion gathering. I thank appreciate all you and our dueling pianos guys. They were great and very interactive with the crowd. The players did a great job performing at our event. They provided fun and upbeat music and kept our guests engaged. We would definitely recommend Fun Pianos to others looking for great entertainment. Next week on Saturday 9/16/17, Fun Pianos joins with the Sergeant Bluffs-Lutton Community School Foundation for a steak dinner and dueling pianos benefit. Funds raised will go towards resources for annual scholarships and grants to fund education projects in the schools. One day after we play for the whole family at Creighton University’s family day…we will be playing a different kind of school event: a 50th class reunion in Fort Dodge IA. Dueling Pianos by Fun Pianos takes great pride in fulfilling the order of FUN for all kinds of audiences, including these two types of audiences, post-proms and weddings. See you at The Opera House in Fort Dodge! The Fun Pianos dueling pianos has done about a dozen shows inside the Cedar Rapids city limits over the years, and this week we are proud to play a private event with hibu Local Digital Marketing company at the Eastbank Venue & Lounge. We think we do ok at our hack-job marketing…these guys are the REAL DEAL! We’re excited to bring the FUN back to Cedar Rapids! Dueling Pianos by Fun Pianos does it! Fun Pianos joins with the Sergeant Bluff-Lutton Community School Foundation for a steak dinner and dueling pianos benefit. It was AWESOME!!! I wish it would have been longer than 2 hours – they did not disappoint! That’s by far the biggest crowd we’ve ever had after our banquets so it’s safe to say it was a success. Thanks so much for everything – it was absolutely fantastic! We received so many compliments after the show, everyone had a GREAT time and really enjoyed it. Dueling pianos in Des Moines by Fun Pianos! Tonight! 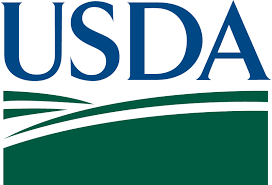 Happy to be bringing the FUN to the U.S. Department of Agriculture at Embassy Suites Hotels in Des Moines IA. Dueling Pianos by Fun Pianos serves the whole country a plate full of FUN! What a FUN time we had with the fun folks in DeWitt, Iowa! Dueling Pianos by Fun Pianos is not like any other show…we have this much FUN wherever we go! 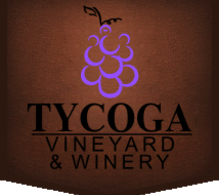 Here are some highlights, and make sure to visit the TYCOGA Winery! We had a incredible show! The guys were fabulous!! We are excited that The Sergeant Bluff-Luton Community School Foundation and their Saturday 9/16/17 fundraiser has booked Fun Pianos dueling pianos show! Great company to work with and such talented piano players – so much enthusiasm! Can’t beat it for entertainment for any type of party or company function. I highly recommend them! Wedding performances have really grown on me over the years. It is true that they are often more involved to prepare for, but knowing that we have provided an evening more special than a regular ol’ wedding makes it worthwhile. This weekend’s wedding was extremely gratifying: I worked with the mother of the bride along the way, including guiding her on layout of the venue via a FaceTime chat. The show was AMAZING!!! George and Matt were so fantastic and got our guests up and moving right away. We raised a ton of money and got so many compliments on the show. We will definitely be using Fun Pianos again!! Thank you so much for all your help and for everything!! Everything was fantastic! I think our staff had a wonderful time and the players were phenomenal! Their interaction with everyone was so entertaining! We will give nothing but rave reviews to anyone looking to host dueling pianos in the area and will keep you in mind for future events! The show went really well. We had a great time, and the players were a lot of fun!! Thank you for all of your help. You were incredibly easy to work with!! “Our company, The Advisory Group, celebrated its 25th Anniversary on September 22, 2016 with a dinner Gala and spectacular entertainment provide by Fun Pianos. The event was a huge success, in great part because of Sam & Gary’s ability to reach out to everyone in the room and get them engaged and having fun! Within moments of the start, even the most conservative client in the audience was “chair dancing” and singing along! There were several highlights throughout Fun Pianos’ hour and a half set, to include the touching military tribute, a kick-line of married couples, Gary’s singing for a couple’s special celebration dance, and my personal favorite was having one sweet, older lady join Sam on stage while he played the piano. Sam used great charm in provide her with cues, and to encourage her along. It was adorable! The guys were amazing! Lots of people still talking about how great of a show it was! Thank you for making our banquet such a success! We would highly recommend the guys again to anyone! The show turned out great and everyone had a good time! They were wonderful entertainers and piano players and I would highly recommend them both! Thanks again for all your help in getting everything planned – it was a success! The show went really well! Everyone really enjoyed the performance! The guys were also great to work with. The show was so great! I have not had that much fun in a long time! Everyone that attended wants to do it again next year! Mark and Frank were so great! Thanks for everything! It was an awesome show! Everyone loved it! The guys did a great job and everyone had a wonderful time. This is an event we plan to do again next February. Thank you for all of your help! Omg it was awesome!! We had a great turn out! Thank you so much! The show was wonderful – we had so much fun and loved the touch the dueling pianos provided. Thank you for all your help setting up the show!! I thought the show was AMAZING!! It went much better than I had anticipated and was more than I had hoped for! My dad had been telling me he was not going to stay through the reception and he was dancing until midnight!! The guys were able to keep my grandmother as well as all of my young nieces and nephews involved throughout the piano show. I was told by many of my guests that this was one of the most fun receptions they had ever been to and the guests from the reception in the room next to ours kept stopping by my reception because the “music was better” and their DJ was “boring”! Thank You, Thank you, Thank you!! My husband, myself, our families and our guests had an absolutely amazing night! Fun Pianos was the perfect choice for my wedding reception. We had well over 350 guests and the players got everyone from 2 to 90 years old involved! The best part was even guests who don’t like hitting the dance floor had such positive comments about the reception because they felt like they got an entertaining show! What a success!!! I cannot tell you how many compliments I received for booking 176 Keys for our fundraiser!!! The guys were Fabulous!!! So so much fun!! They were so great and so helpful in raising money…..I cannot thank them enough for an amazing event! First class show!!! Everything went great. The guys did a wonderful job and many of the employees have told me how much fun they had. It was a success. The show went awesome! The guys did an outstanding job. Everyone seemed to enjoy themselves. Your team has been very easy to work with. On the morning of the event I got a VM saying they were in Cedar Rapids and on their way. By the time I got to the hotel that afternoon at 3:00, they were already completely set up ! The show was great! Everyone loved them and had a good time, people talked about it for days after. I was shocked that they didn’t take any breaks, they did an amazing job straight thru. They followed the owners request for no attention and it was much appreciated. One owner even said let’s put them in our 3 year rotation schedule for entertainment! Your team does an amazing job! We received many compliments of the Best Corporate Christmas Party Evah! We highly recommend you for any or every occasion. Thank you to Fun Pianos for your professional touch. We sat for 368 and filled the house. This client loved us so much, they had us return for their Holiday party again! Here’s what she had to say the first time around….. IT WAS OUR BEST PARTY EVER. Truly, people are still talking about it. IF we get to have a party next year, you are in!!! It was so very awesome. Oh, once again they were just terrific!!! Oh my gosh it was FABULOUS!!! People really really enjoyed them! The event was a huge success and we raised over $16,000! SO TERRIFIC! A GREAT TIME was HAD BY ALL! Great Guys and FANTASTIC singers/performers too! The show was absolutely amazing!! My now husband and I had a blast and I think our guests did too.. We’ve heard many compliments! 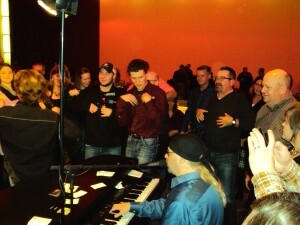 I don’t think hardly any of our guests had seen a dueling pianos show before so they didn’t know what was going on at first..but then really got into it! I so wish I would’ve got it on videotape. 🙁 My dad n bro were even dancing and I’ve never seen that before. Overall..AWESOME and I wish we could do it again! Everyone had a great time! Thank you very much for making our event great! The players did an excellent job. They got the crowd involved which was entertaining for everyone. The show was FANTASTIC!!!!!! The players were awesome. I have had too many compliments to keep track. In fact some employees that have been with the company for over 20 years said that was the best Holiday Party they have attended. Once again THANK YOU for providing great entertainment. That was my first experience with Dueling Pianos and I loved it as well. I just wanted to drop you a quick note of appreciation for the wonderful show you did for us last week. The guys were great in all respects and I know that our guests had a great time all evening. My new son-in-law shared with me that very rarely at wedding receptions, does the Dance Floor stay packed and active all night. All age groups had a “Hoot” of a time! And most importantly to me, my Daughter and new Husband enjoyed every minute. I want to thank you both so much for helping facilitate our Volunteer Appreciation Event last night. It was FABULOUS! It was everything I wished for and more. The players were great. They got the crowd into it and, honestly, I couldn’t believe how many people they got up there to squiggle and wiggle and pound on the table and sing and shout. It was very high energy and, absolutely great. You both, as well as the players, were very easy to work with, very professional and helpful. They were here when they said they would be and got right to work setting up, etc. It all went very smoothly – why did I worry??? So, thank you, thank you again. I really enjoyed working with everyone. I have nothing but the highest praise for the way you run your company! !